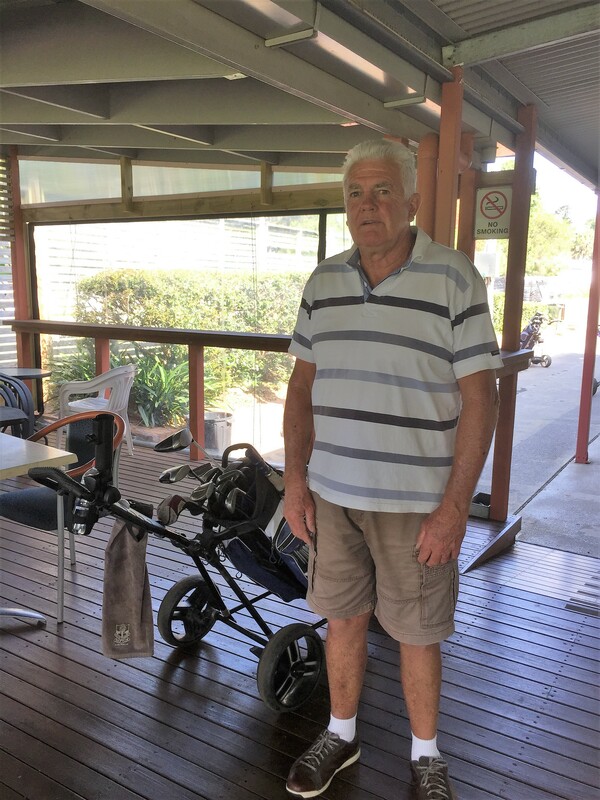 Congratulations go to George Vlatko on his tremendous performance in winning the 2018 Club Championship with a score of 310. 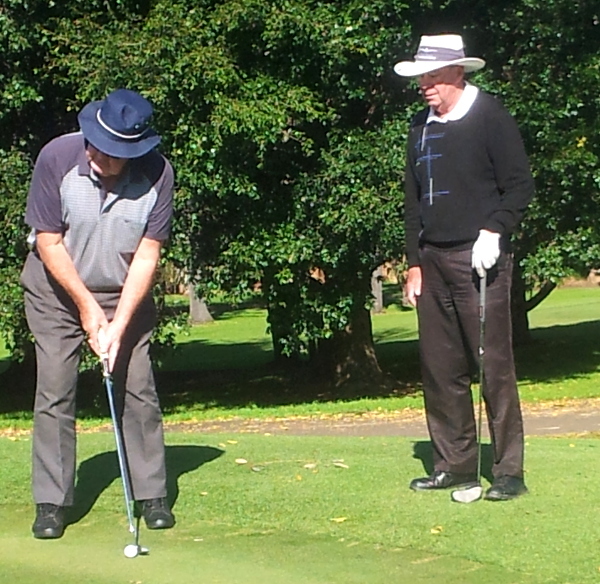 This is a fine reward for a talented and dedicated golfer and highly valued volunteer of Jamberoo Golf Club. His work on the garden behind the second green and around the 9/10 tee complex are fine examples of George’s contribution to our club. His Championship success is a just and well-deserved accolade. Congratulations also go to our other Grade Champions. and D Grade Champion is Robert Weir with a score of 398. Each champion will have his name added onto the Club Honour Board and Permanent Trophies which will be presented at the Annual Presentation Night on Sunday December 2. Tickets can be obtained from the club office. Without wishing to take any glory from our new club champions who also had to manage the final hurdle, it is obvious after the fact that the 18th was very difficult and perhaps unfair. Many members suffered on the green as they were unable to negotiate the 1 metre downhill putt required or the 4 metre uphill putt that followed, including myself, as anything short rolled back down. Hindsight is a good teacher and it would have been better to have found another position. I had asked the greenkeeper to place some flags in challenging positions for the final round. I deliberately had the flags in easier positions in the first three rounds and wanted to test the players in the final round. About 40% of players managed to play the 18th relatively unscathed compared to the usual 60%. I did test that flag placement on Friday afternoon and putts that were hit up the hill towards the hole only came back if they were poorly struck being more than 20 cm short. Putts hit down the slope went off the green if they were hit too hard and missed the hole. The green was wet at the time I tested it so I considered that the position would be acceptable. This definitely influenced me in not asking the greenkeeper to move the hole on Friday and I acknowledge that this was a mistake. Unfortunately conditions changed overnight and by the time I arrived at the course to find the green dry and mown the first groups had already completed their rounds and it was too late to re-cut the hole. Let’s face the fact that there is no truly fair position to place the flag on the green at all, front, back or centre. Some places are slightly less unfair and that is the best you can expect. It has always had too much gradient to be a fair test of skill. Work to improve the slope and playability of the 18th Green has been long considered a priority subject to funding availability and the Board will continue to seek grant opportunities for this work as our best short term option to address this problem. The Match Committee apologises for the final round 18th pin placement and will ensure that this is avoided in all future individual and major events. Well put Dave……Congratulations to all winners of their respective grades. George, Gary, Brian And Bob…Well Done Guys a fine achievement over 72 holes of a very competitive competition in all grades. You all deserve your recognition as being Club champions . Not to forget the other 69 competitors who participated in the 4 rounds..I do agree that the 18th pin position was “difficult” and am really glad this has been recognised…pin positions on all greens have to be difficult…but they also have to be fair…obviously this was not fair..I do not think reading and trying to negotiate this green was fair…not even for A grade golfers on single figures or the ladies who participated on Saturday in their own competition..A grade single figure golfers having the misfortune of 8 putting, ladies who had 14 putts..This is not golf…..it’s Putt Putt..I am sure this will go down in history as an unfortunate set of errors that robbed our great club of the competitive nature that we all enjoy, with many golfers also forced to pull out because of the forces of nature that also occurred on the third round. We should remember we are Jamberoo and not Royal and Ancient St Andrews and should remember to encourage our membership…if it means a deferment, not a cancellation of a round, because carts etc cannot venture on to the course so be it..(championships should always be over 4 rounds) These older statesmen are a very high percentage of our membership and deserve to be participants in our member no1 event of the year.Anyway good golfing and enjoy our course as it is, and try to encourage others by getting the word out about the wonderful course…And remember it nice to win but even a greater feeling to participate and enjoy your rounds…. Ron, I appreciate your honest feedback and your compassion for your fellow members. Thankfully not everybody 8 putted or 12 putted but I agree that as there were many 4 putts it was a clear indicator that I got it horribly wrong. It is easy to say that everybody had to play the same hole but the fact is it turned out too hard for the average member. This was not my intention. I wanted a tricky first putt if you weren’t in position under the flag but still giving players a chance to make the comeback putt if they missed. What occurred on Saturday has often happened on this green with balls rolling back towards the player and this is unfair and didn’t give players any chance to get it in the correct position under the hole causing all sorts of bad putts. No lag putt was possible which goes against what most players know. The statistic I quoted in the note is based on a comparison I took of scores on the 18th hole in the September monthly medal and on Saturday. Of the 86 who finished the hole on both days it turns out the average was 6.2 in September and 6.1 in October [averages can give misleading info – due entirely to a lesser number of D grade entrants and lower scores by most of them]. The better statistic is that in September 34 out of 86 had scores of 7 or more on the hole while on Saturday that increased to 50 with the increase coming from A grade from 4 up to 11, B grade 7 up to 12 and C grade 12 up to 22. Interestingly D graders did better. We have 4 praiseworthy new champions and they rightfully deserve recognition for their fine achievement.